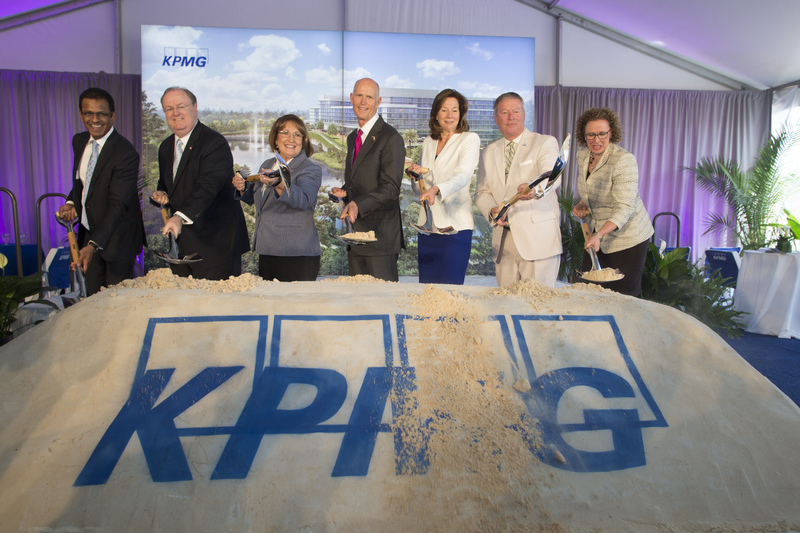 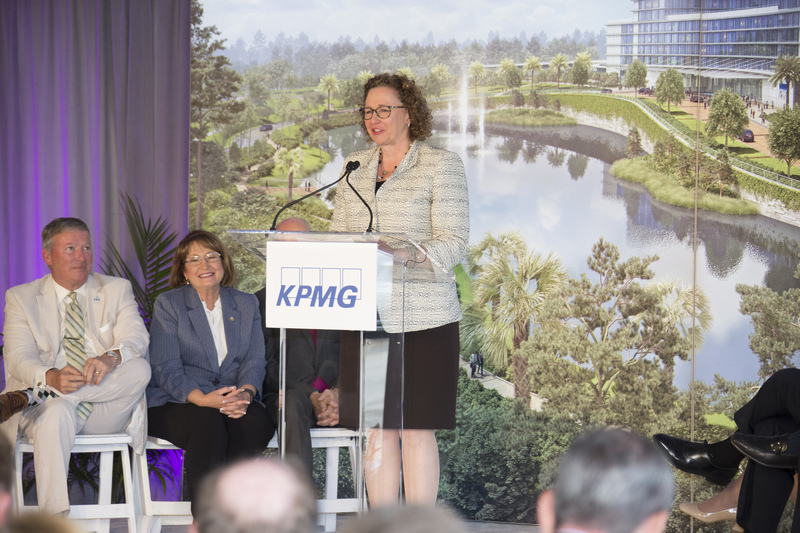 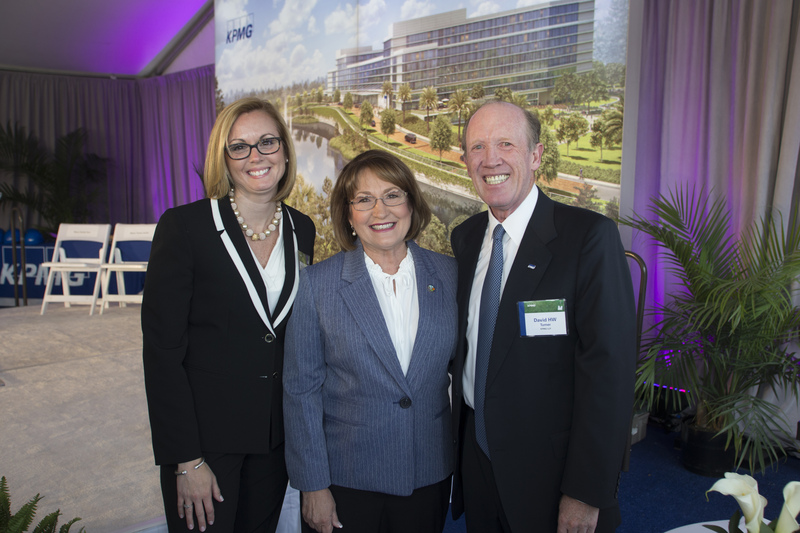 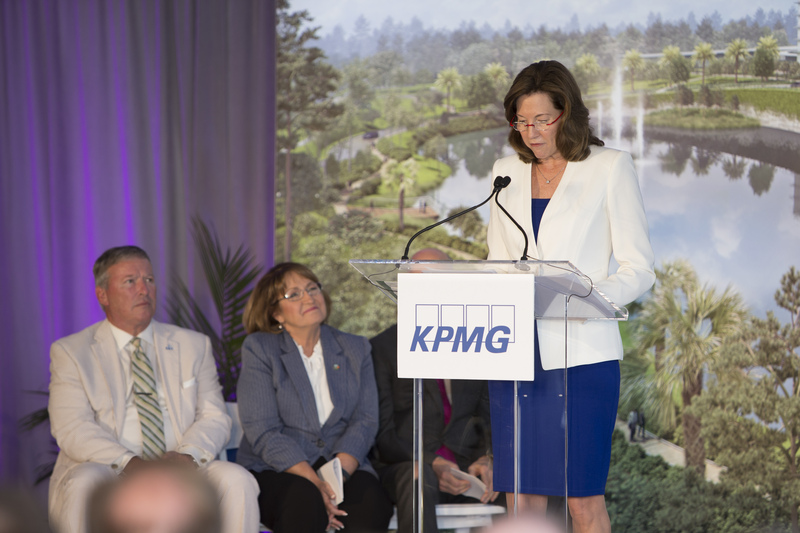 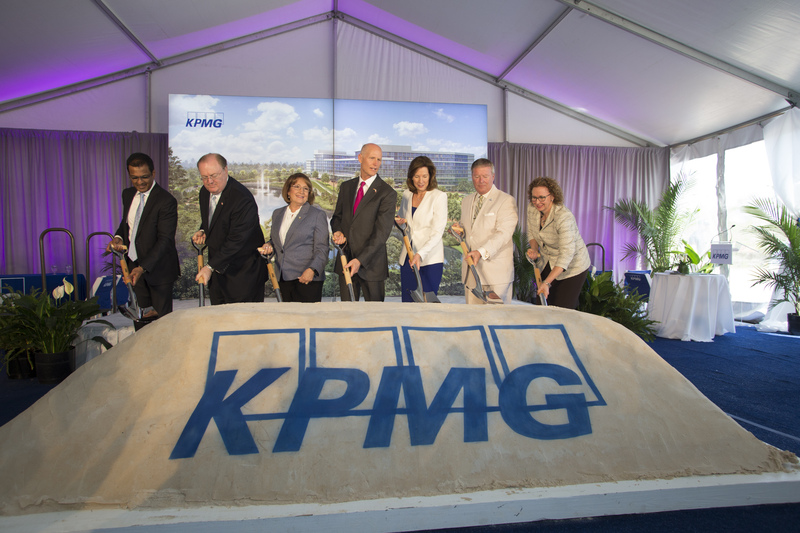 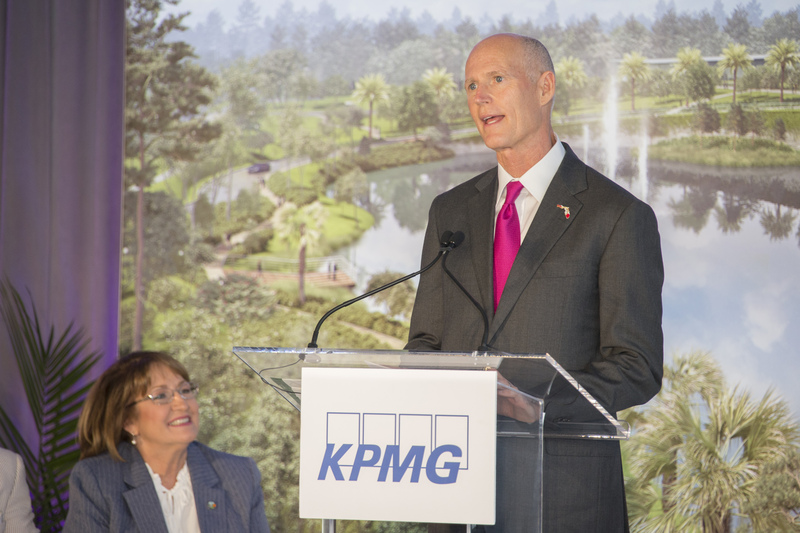 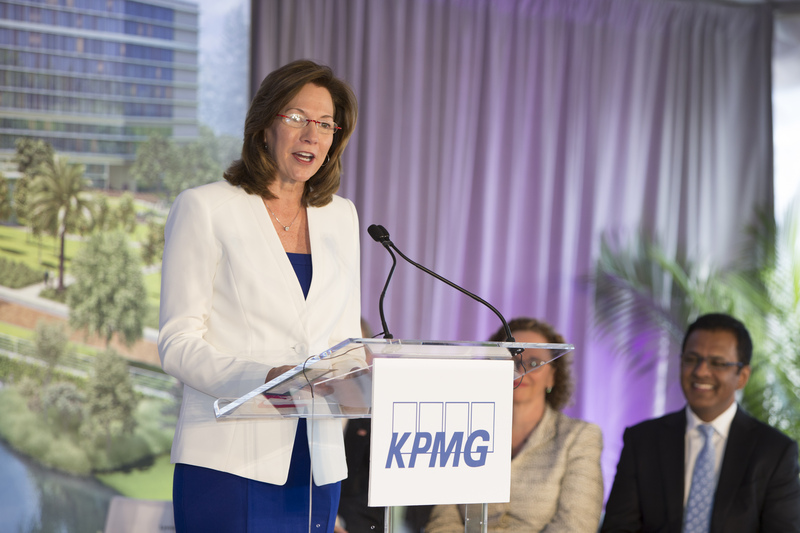 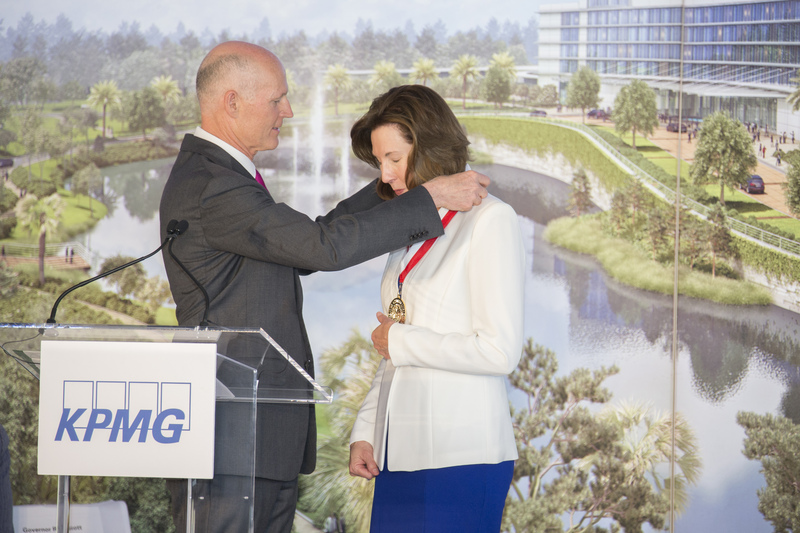 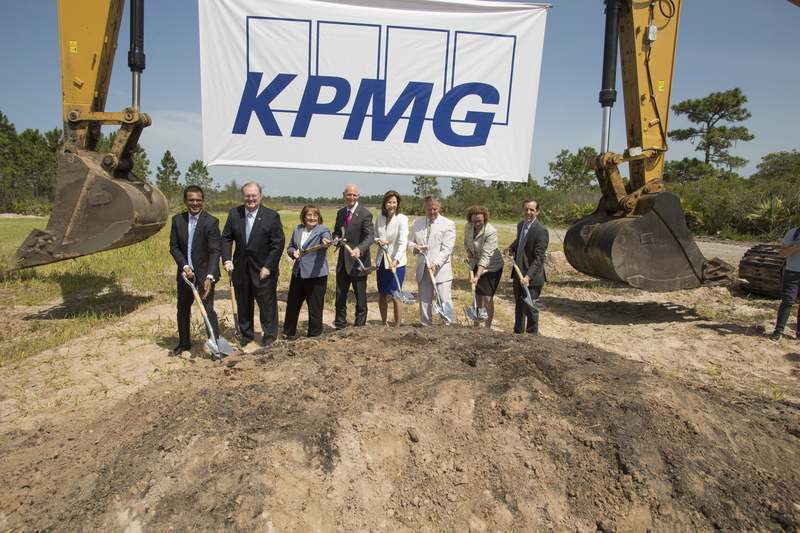 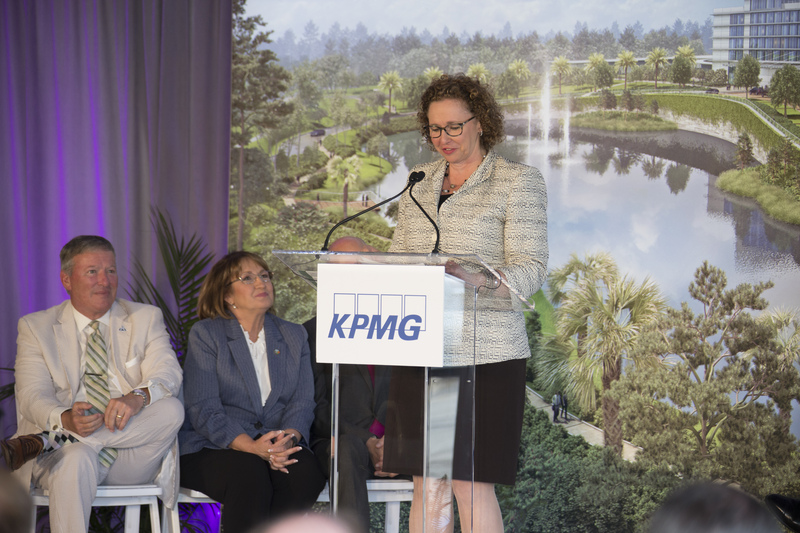 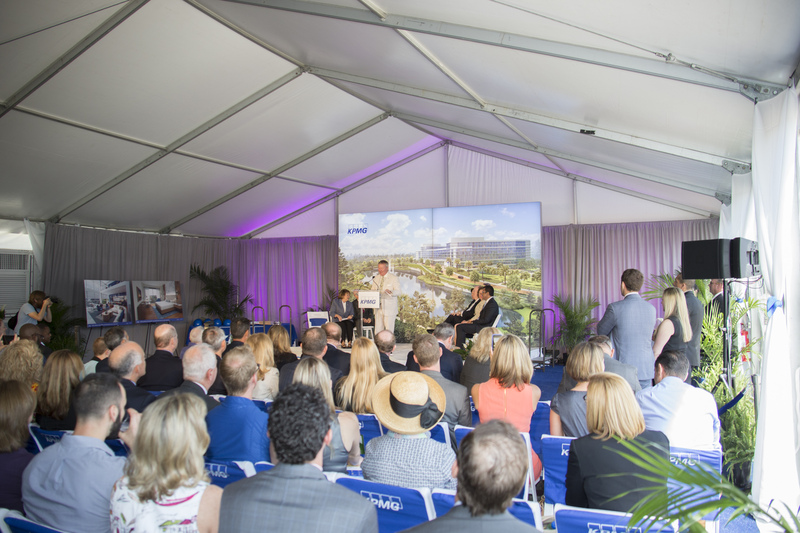 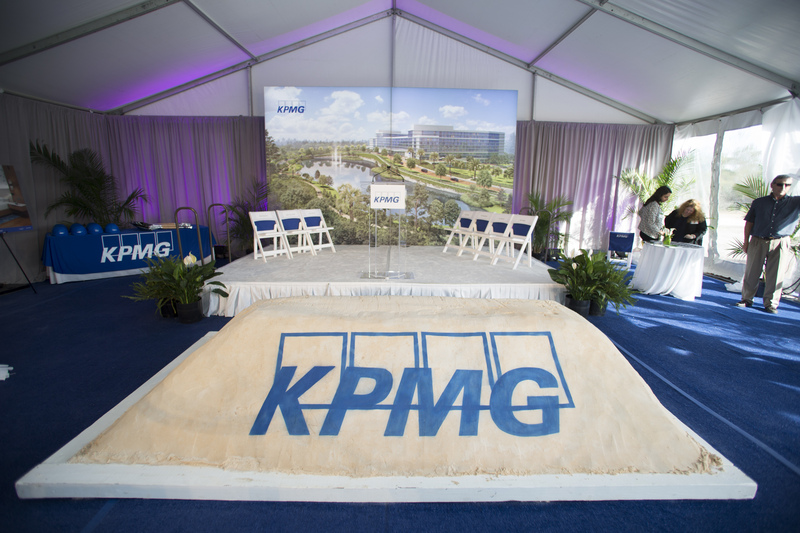 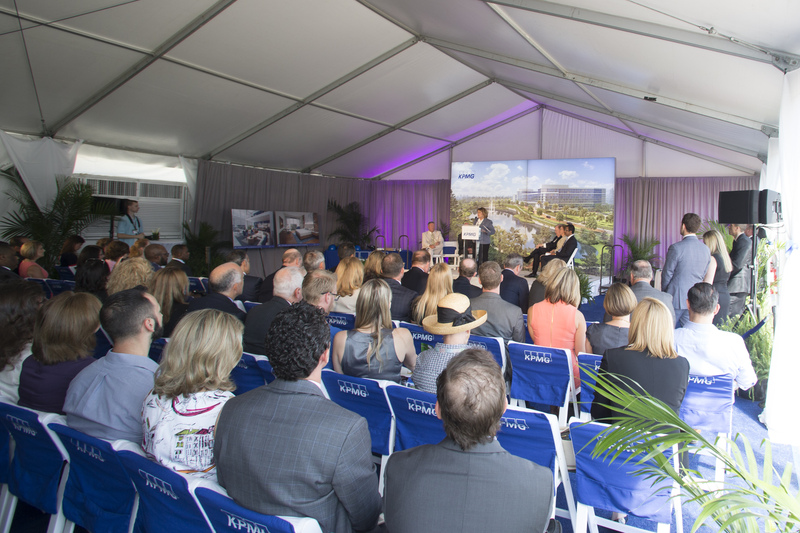 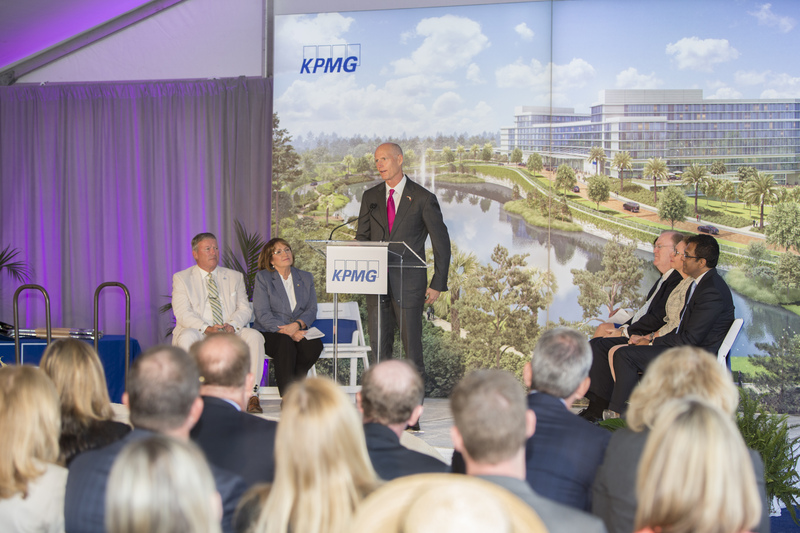 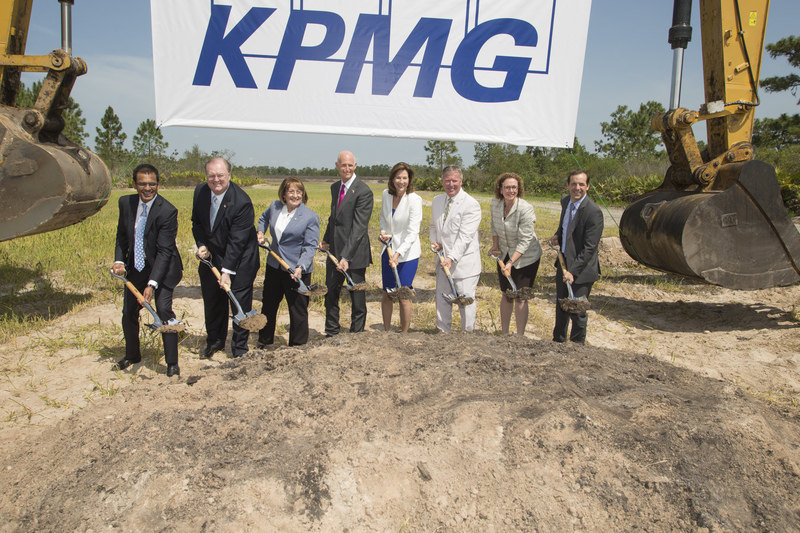 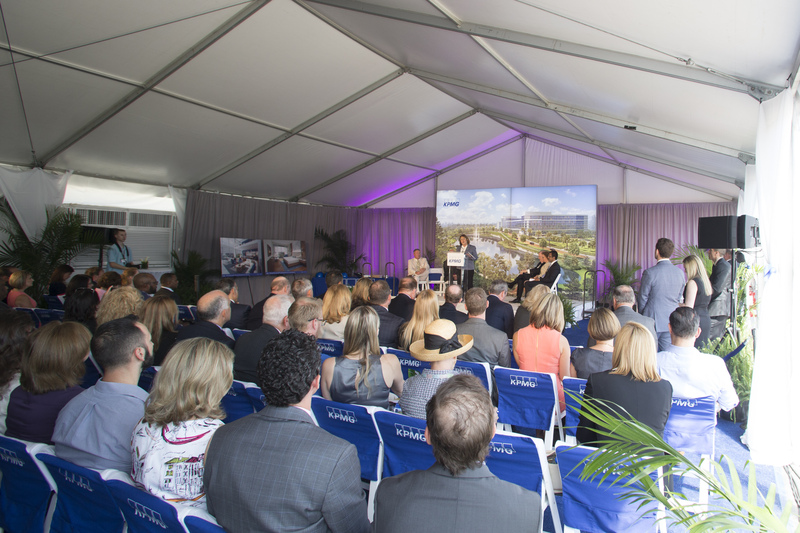 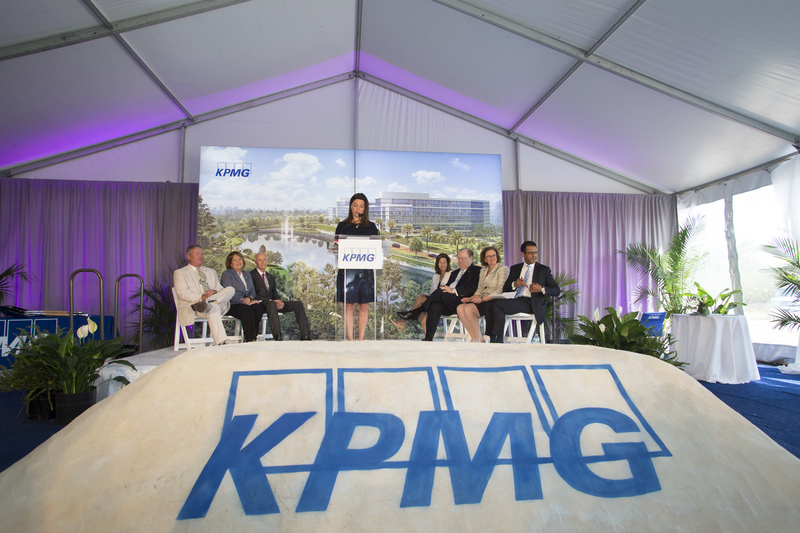 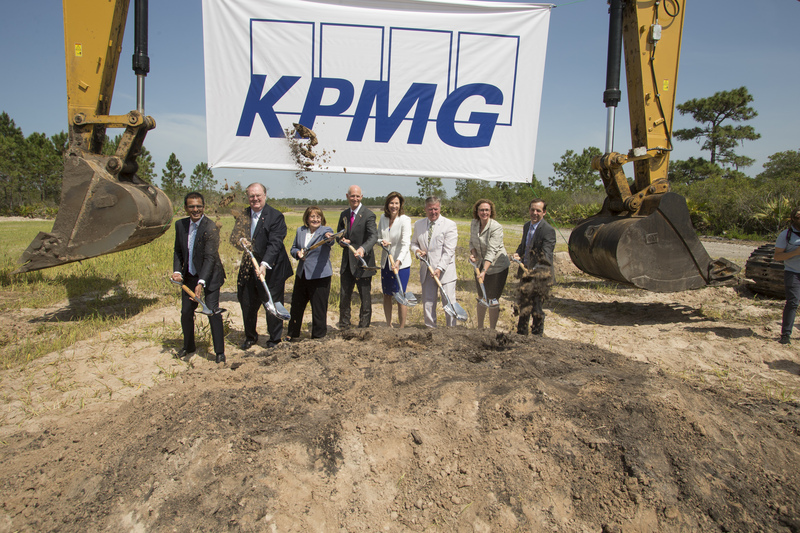 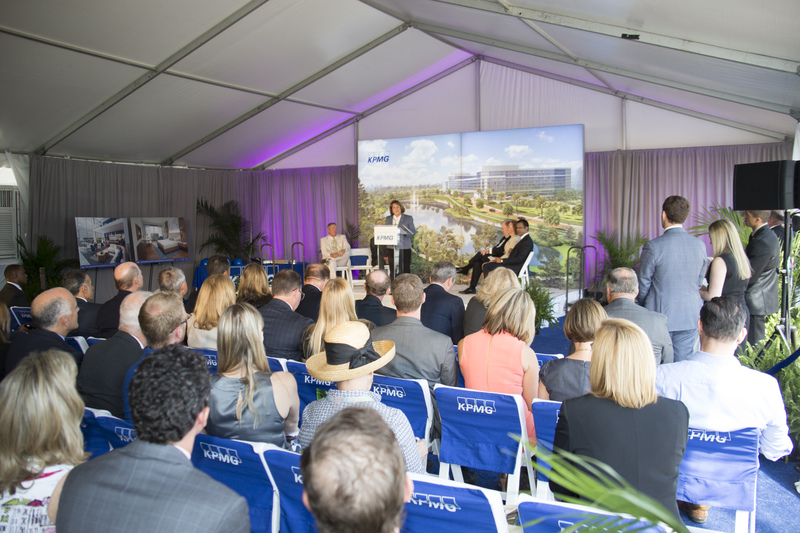 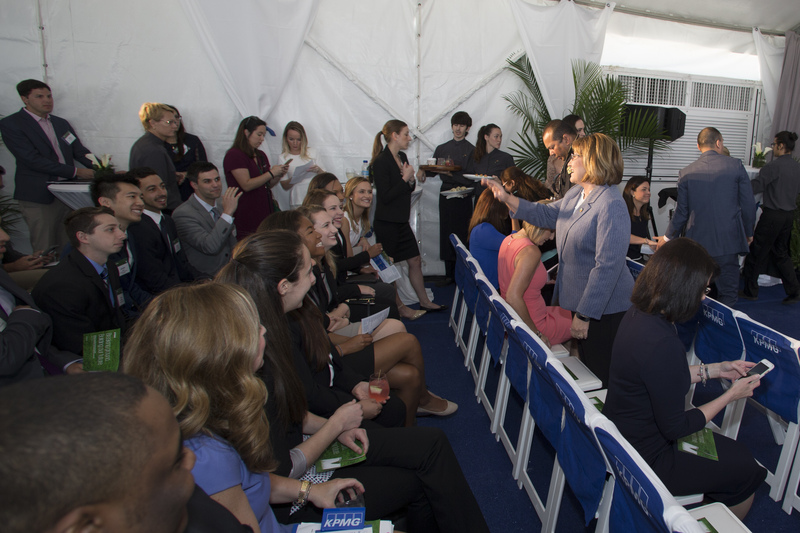 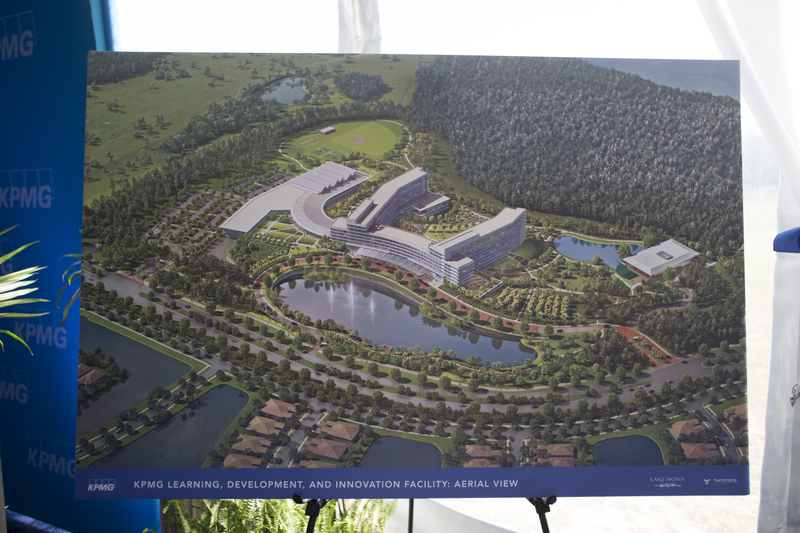 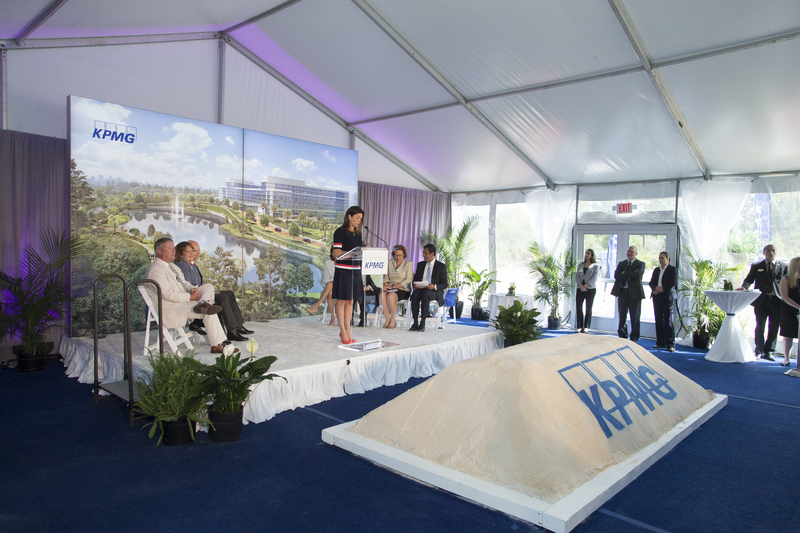 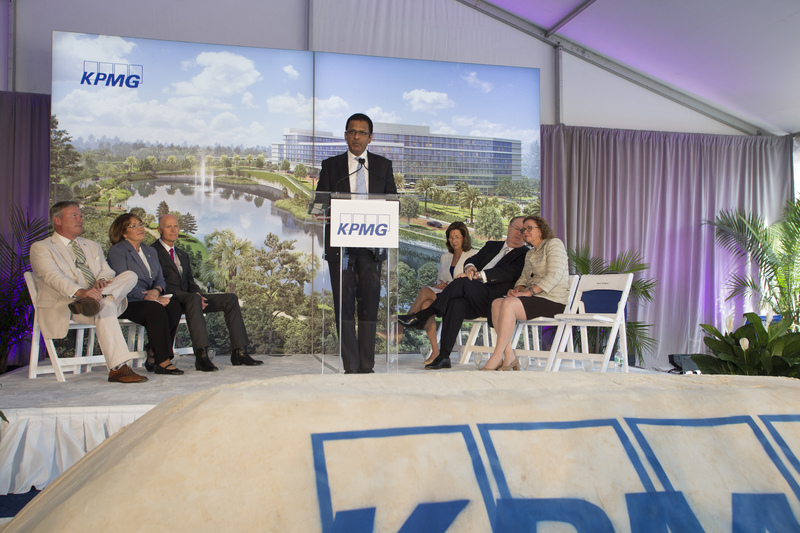 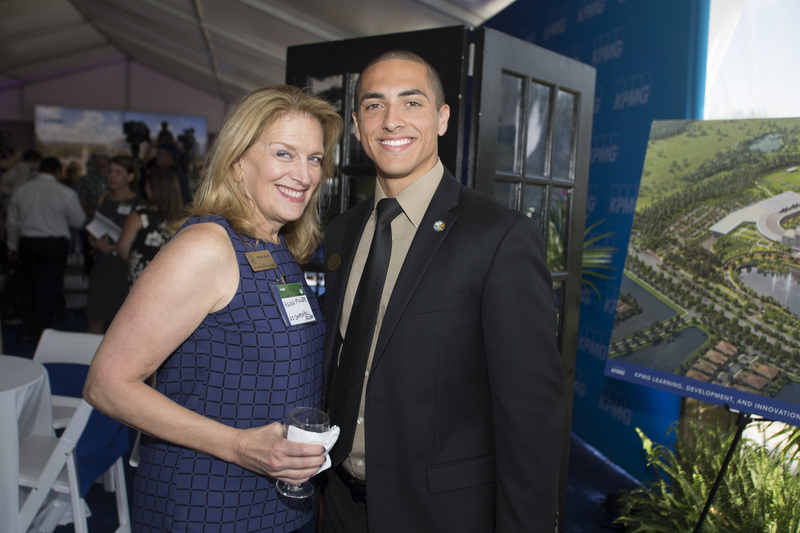 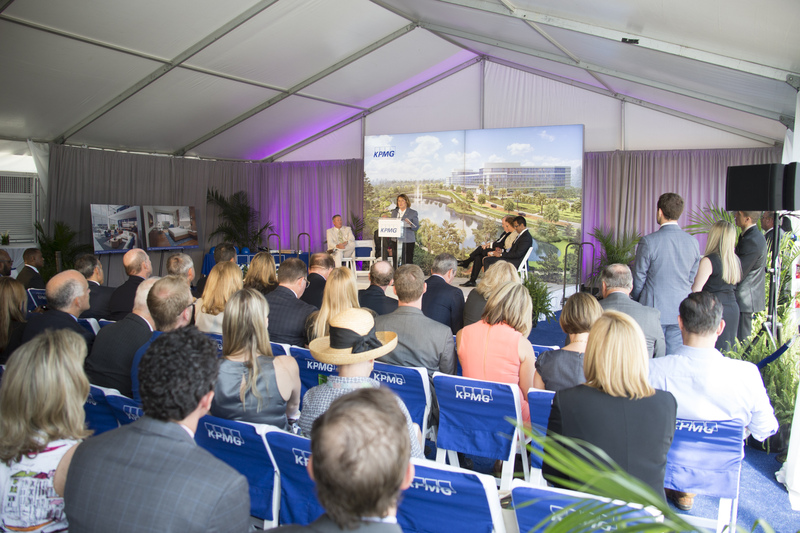 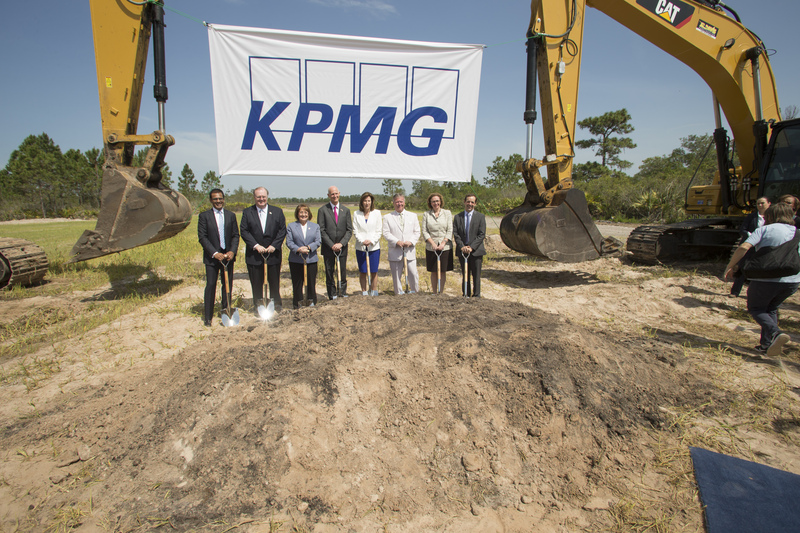 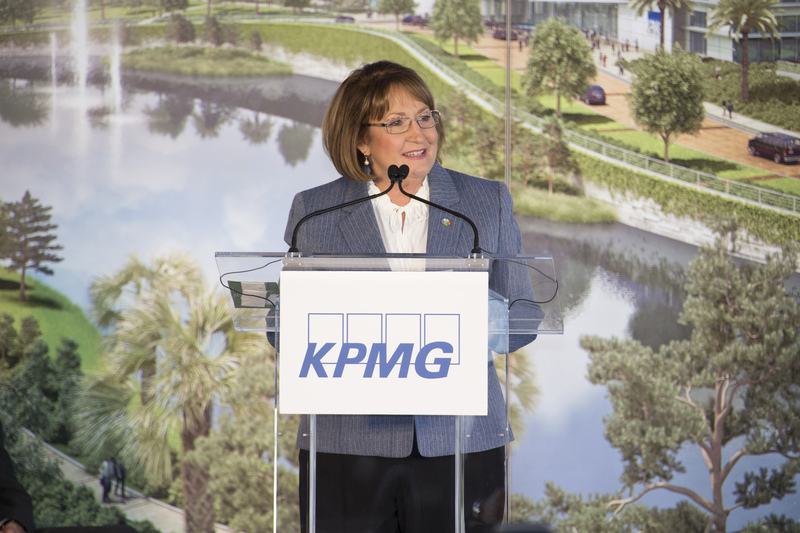 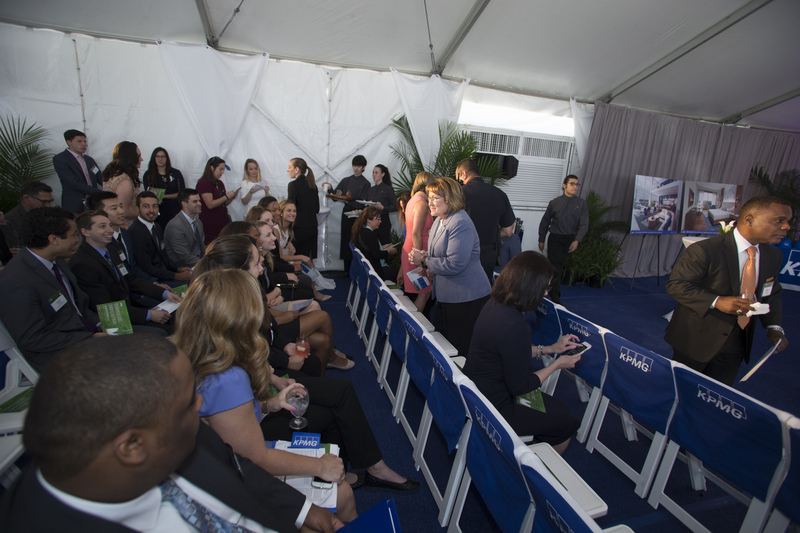 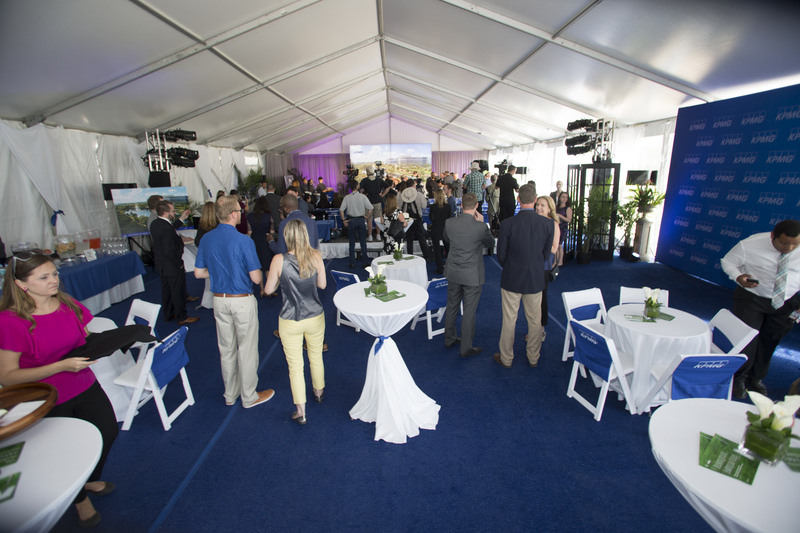 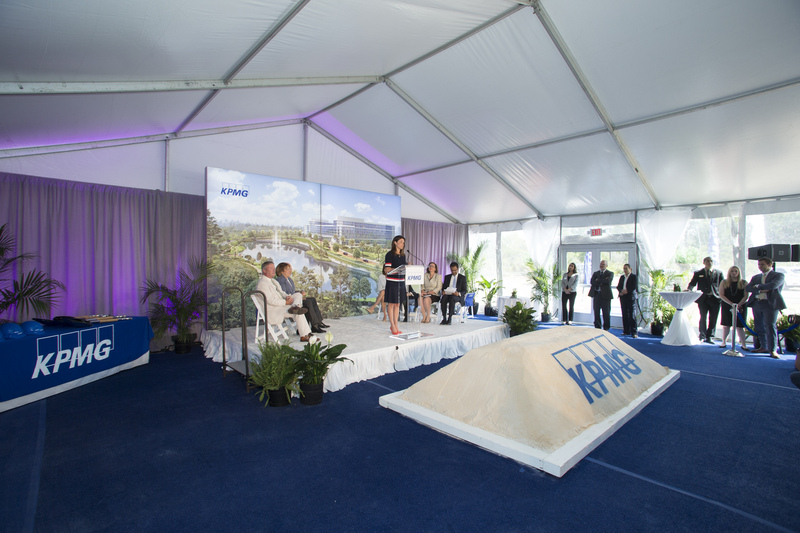 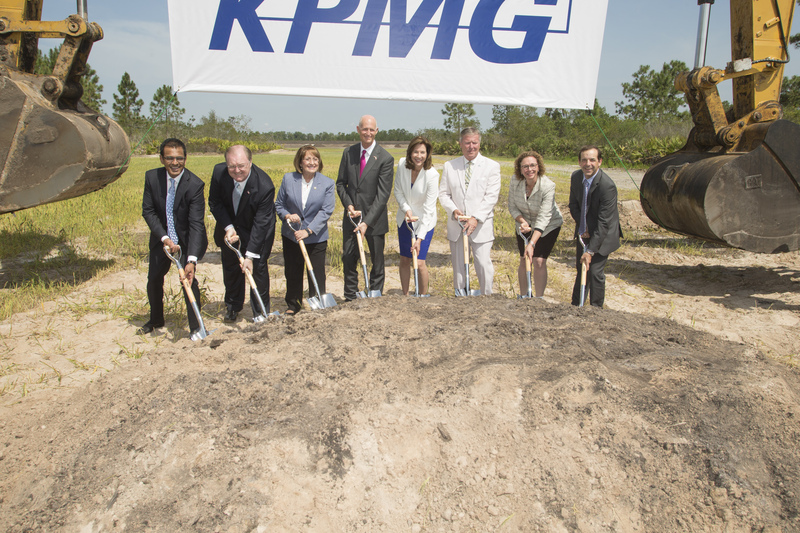 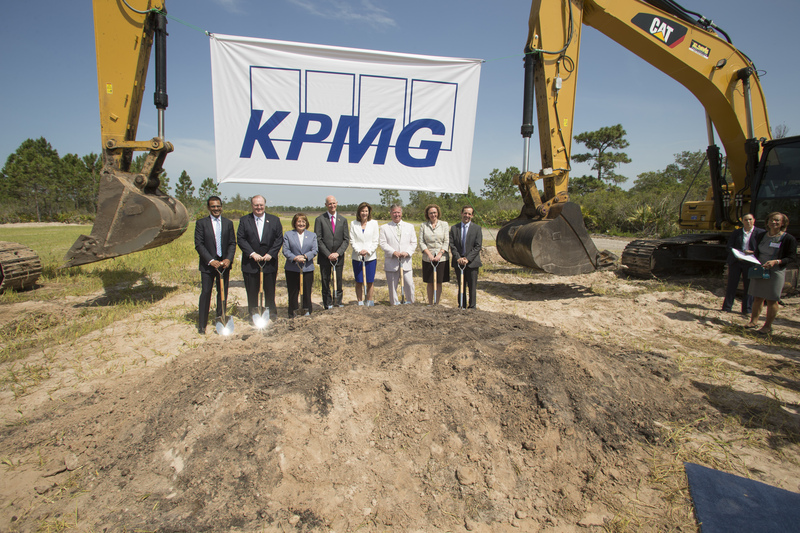 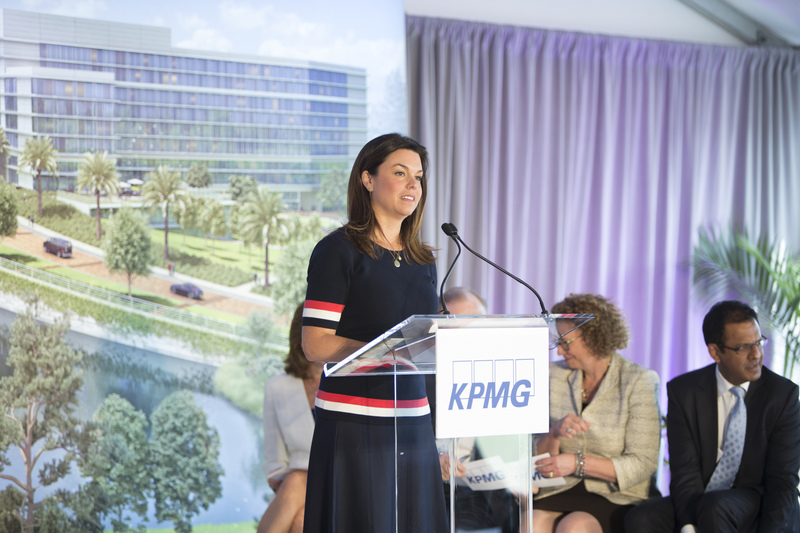 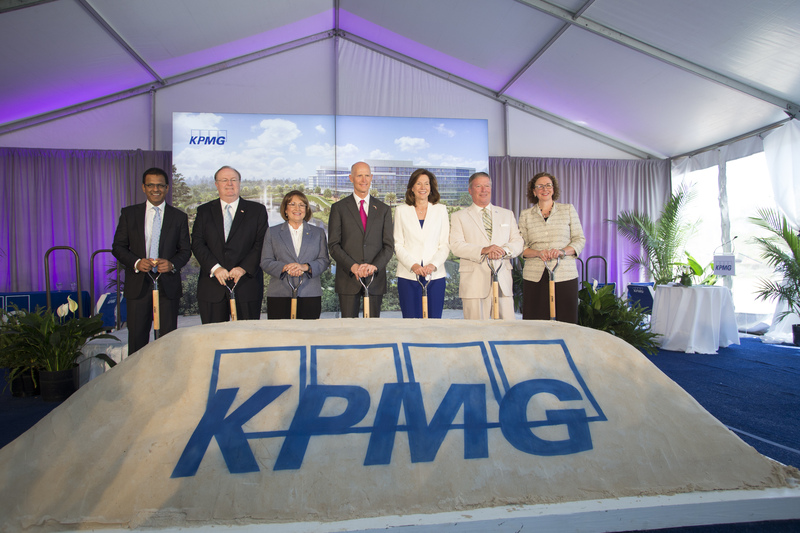 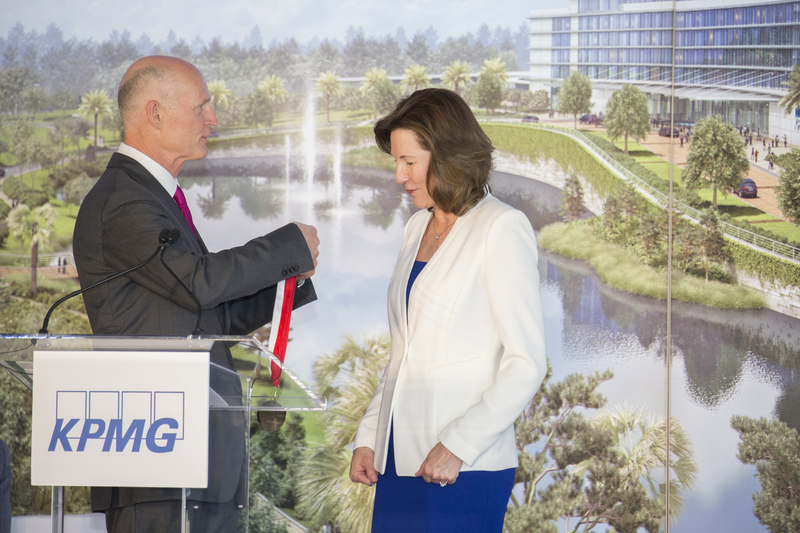 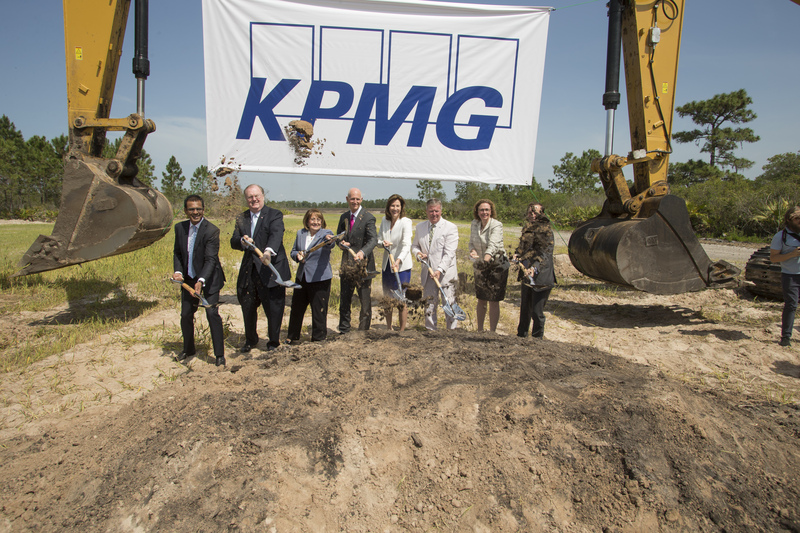 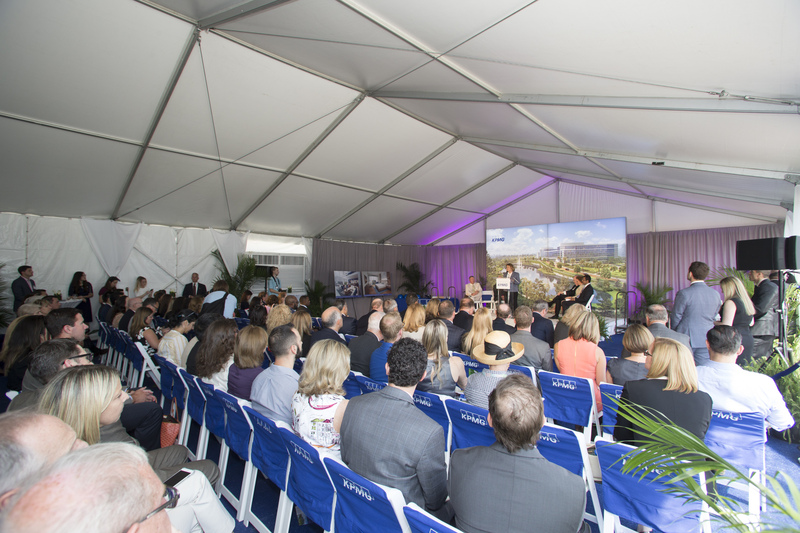 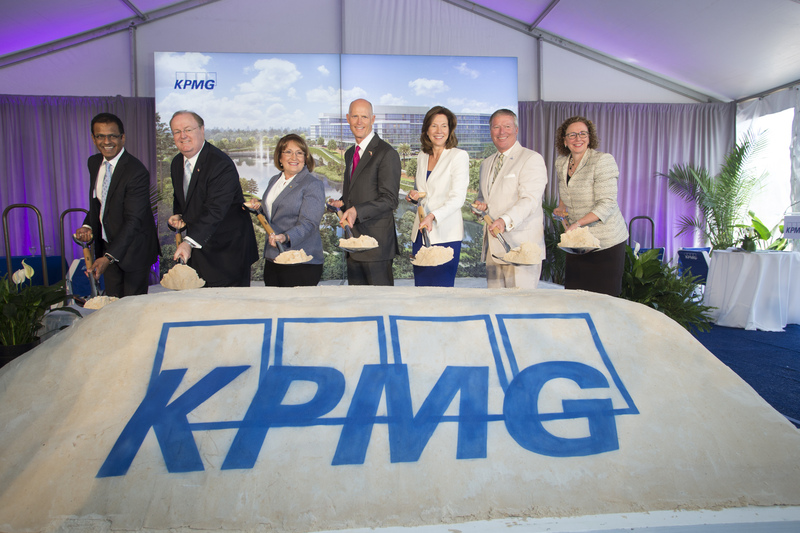 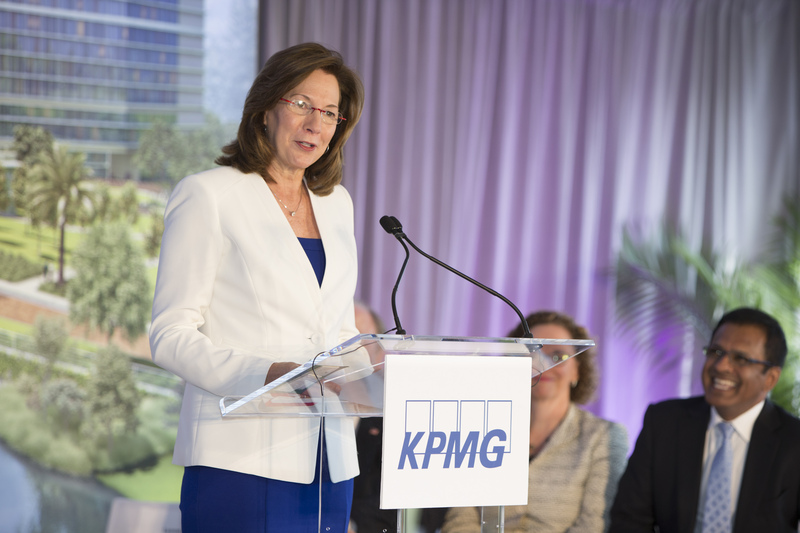 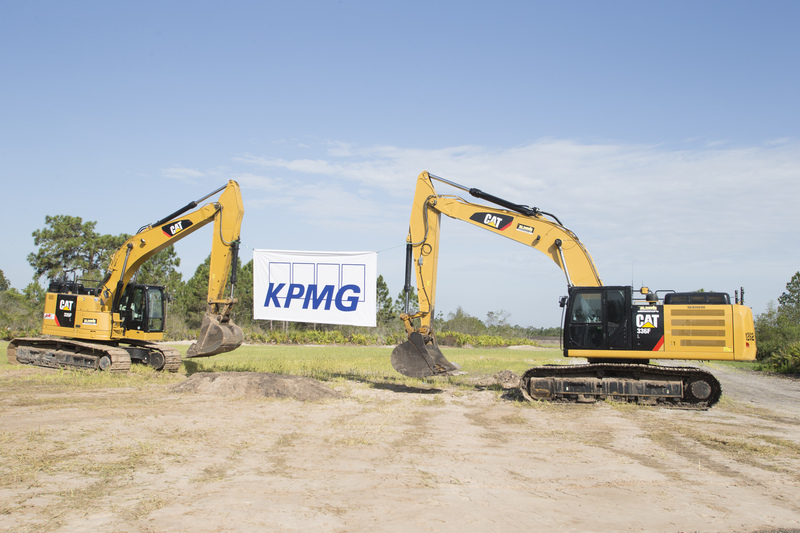 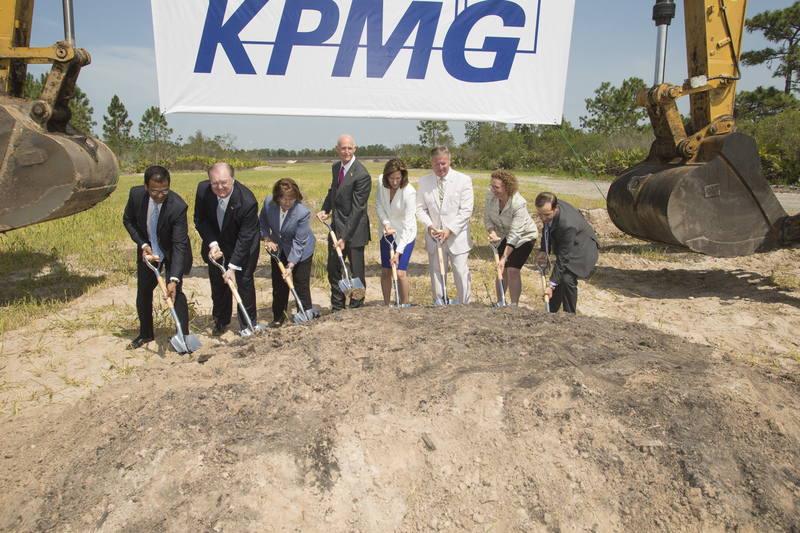 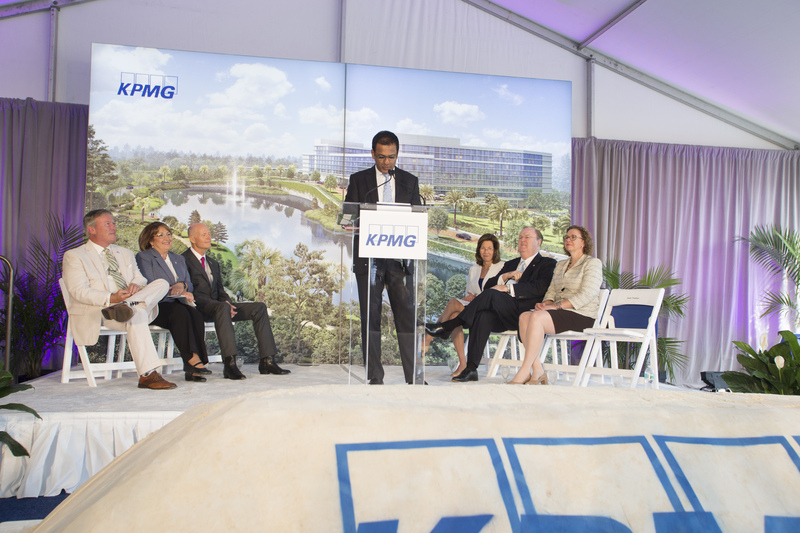 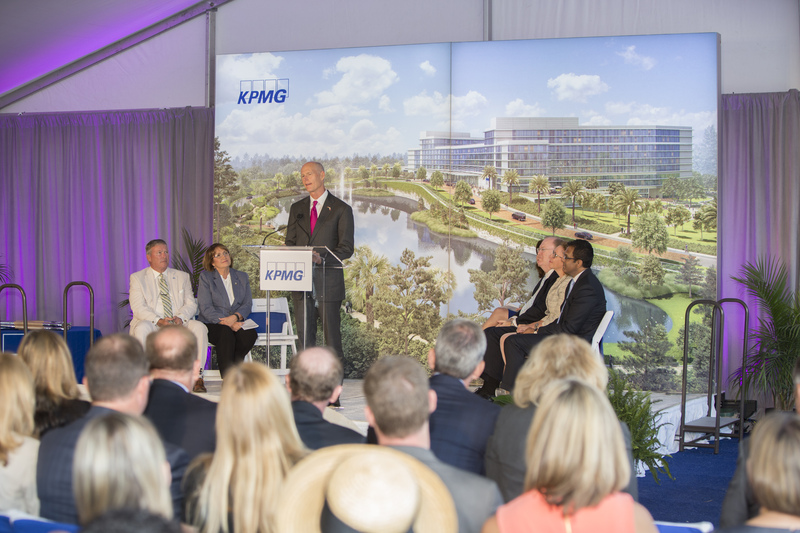 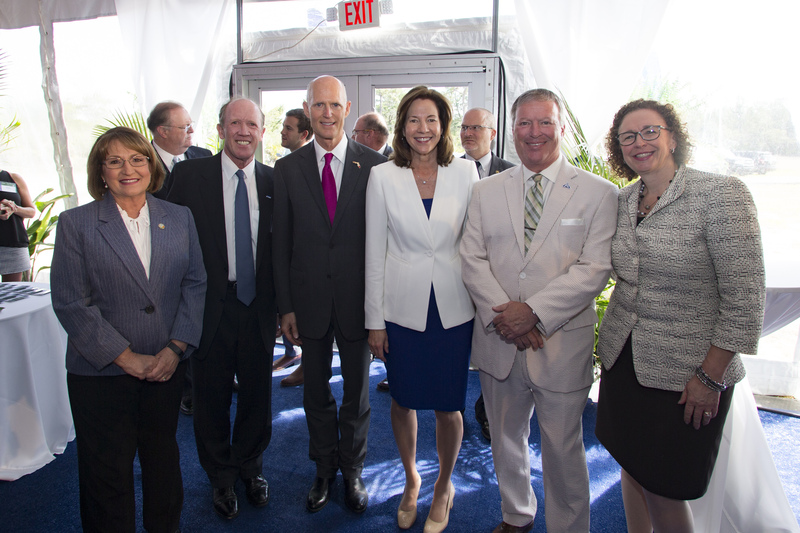 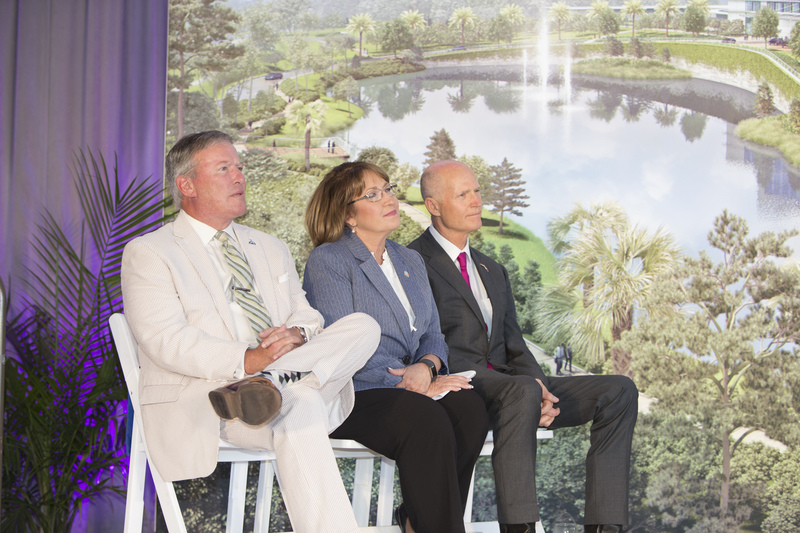 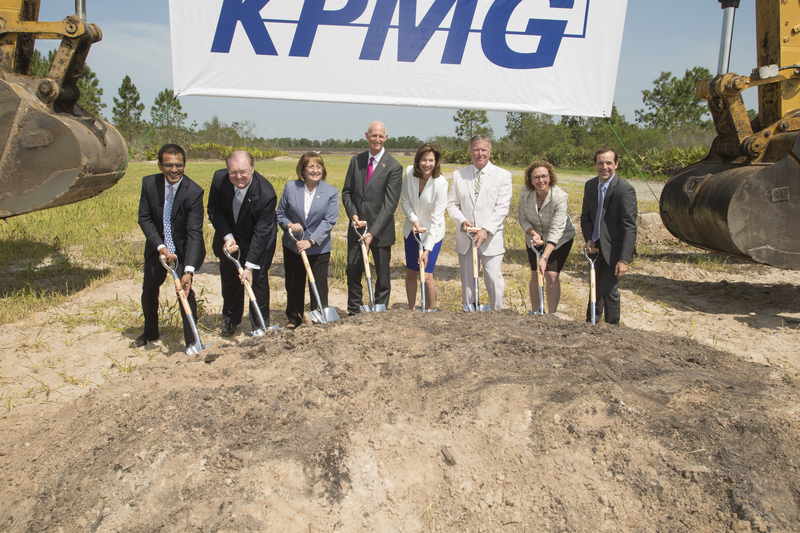 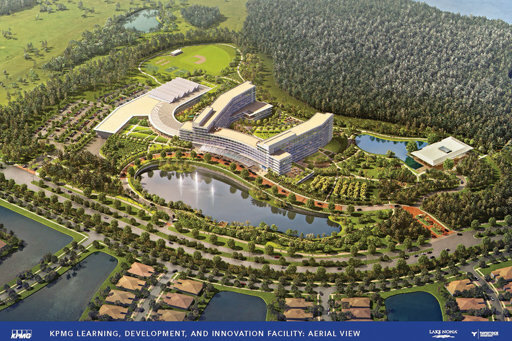 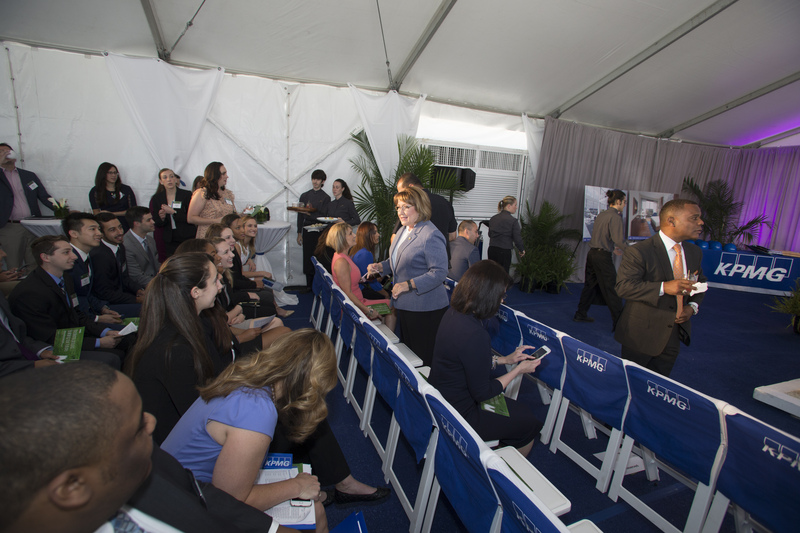 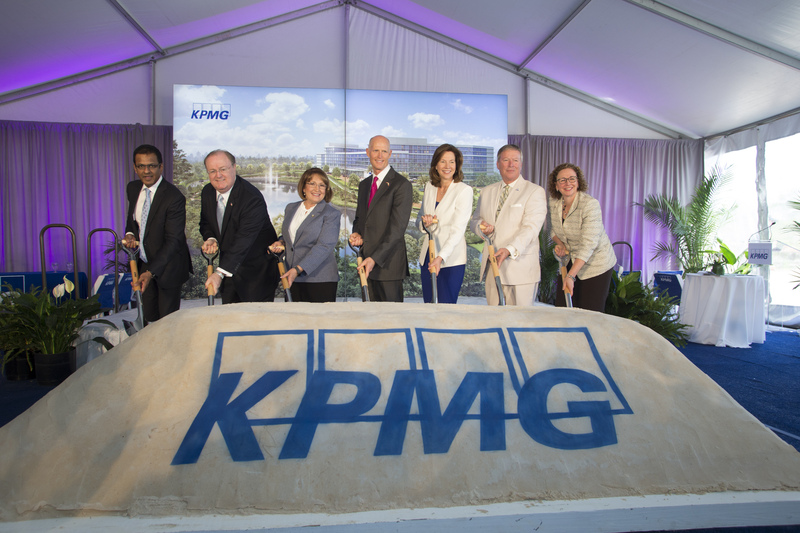 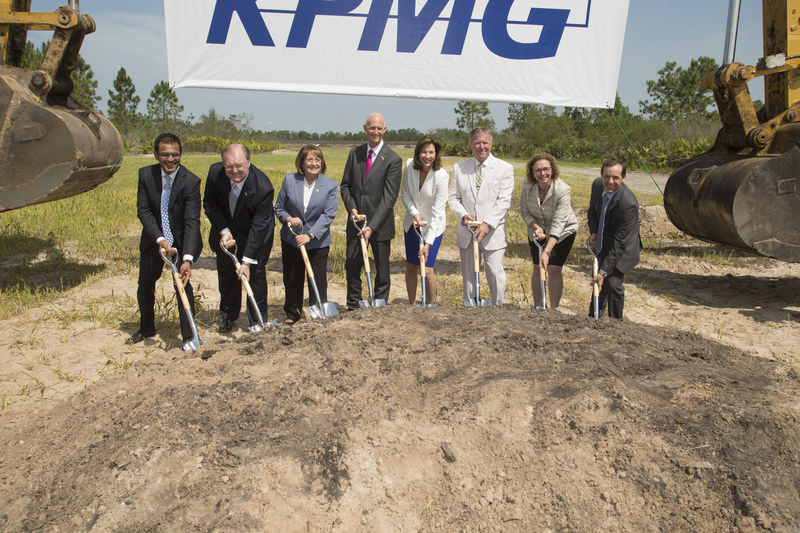 Orange County Mayor Teresa Jacobs joined Governor Rick Scott for the highly anticipated KPMG groundbreaking ceremony in Lake Nona on May 22. 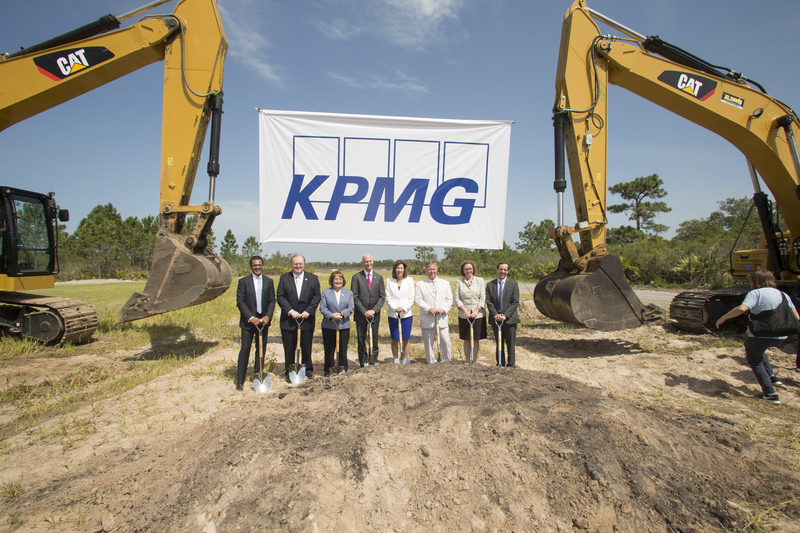 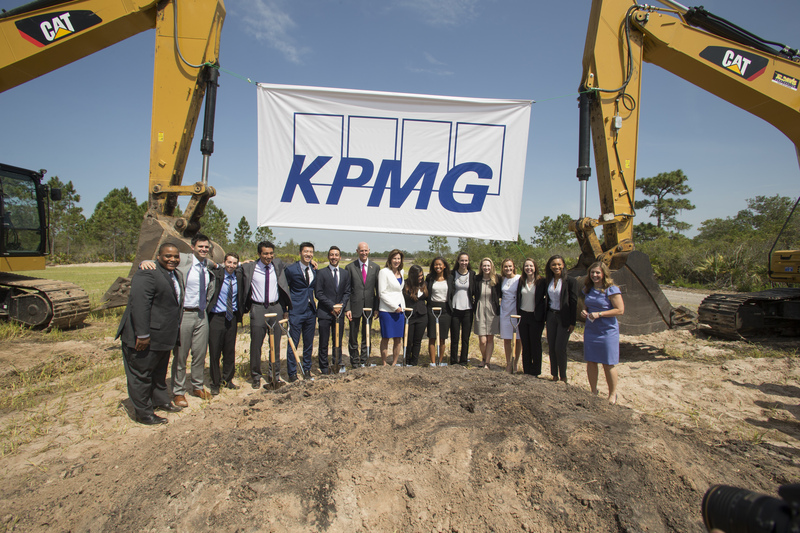 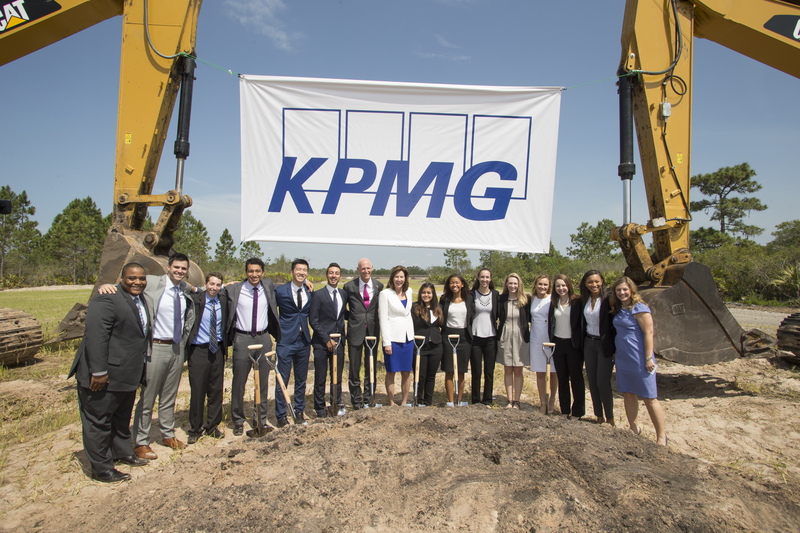 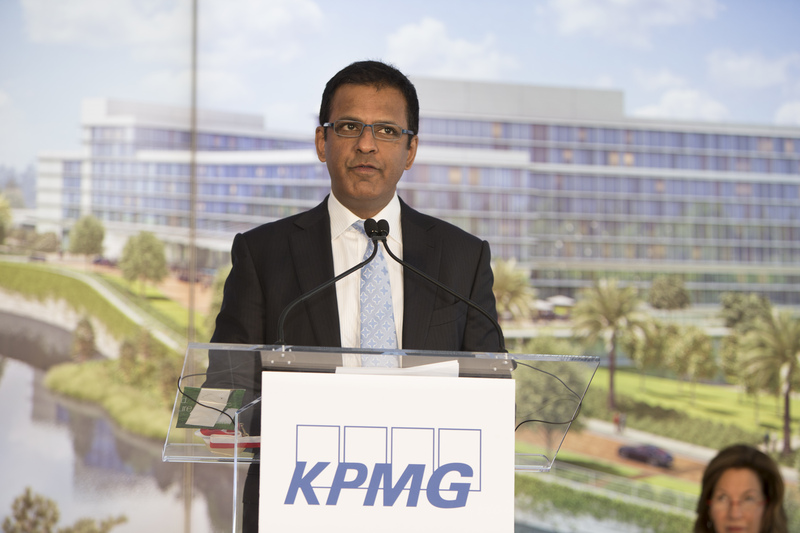 KPMG’s new training center will make a $430 million capital investment in Orange County and bring 80 high-wage jobs to the community, with an additional 250 third-party contract operator positions. 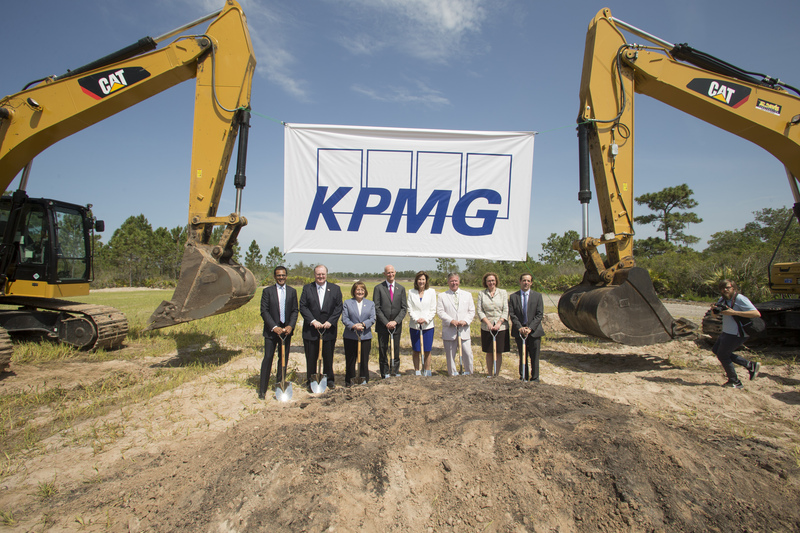 The training center will also invite KPMG executives, from throughout the nation, for extended training and will demonstrate the high levels of professional service sector and workforce preparedness in Orange County. 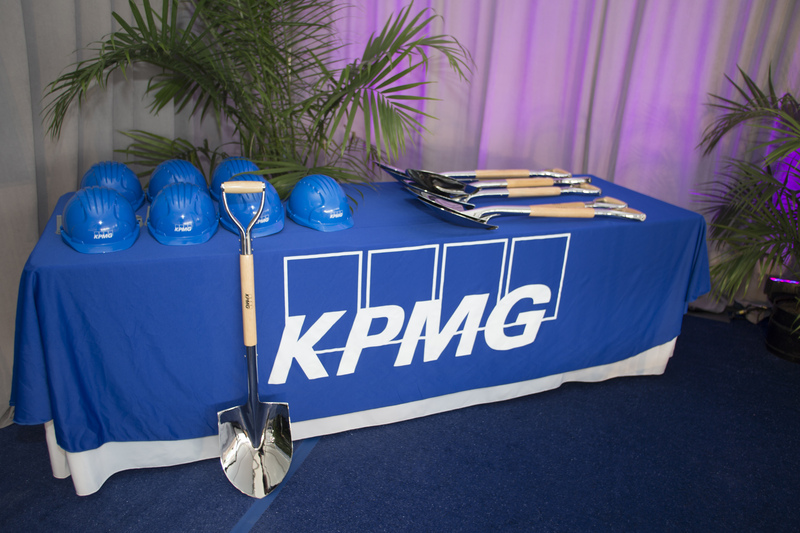 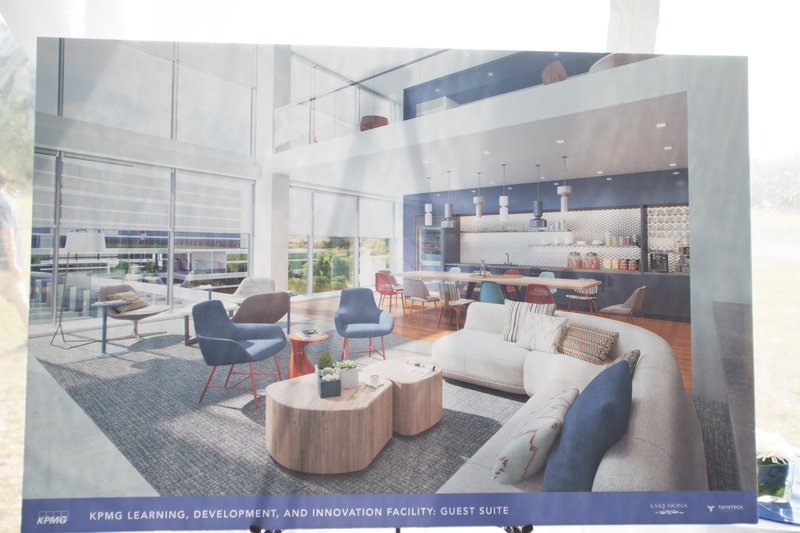 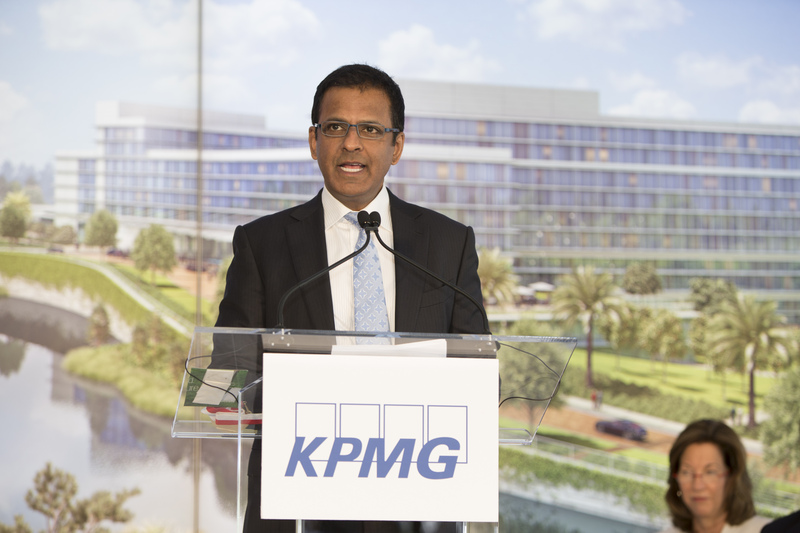 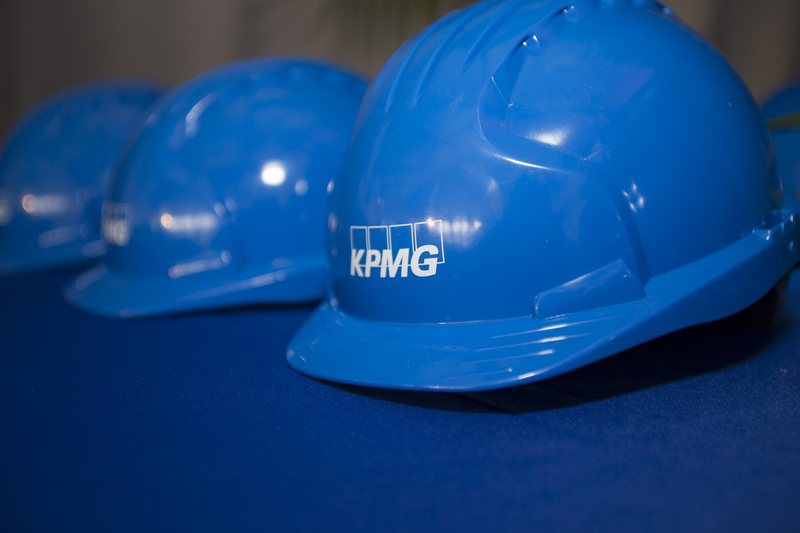 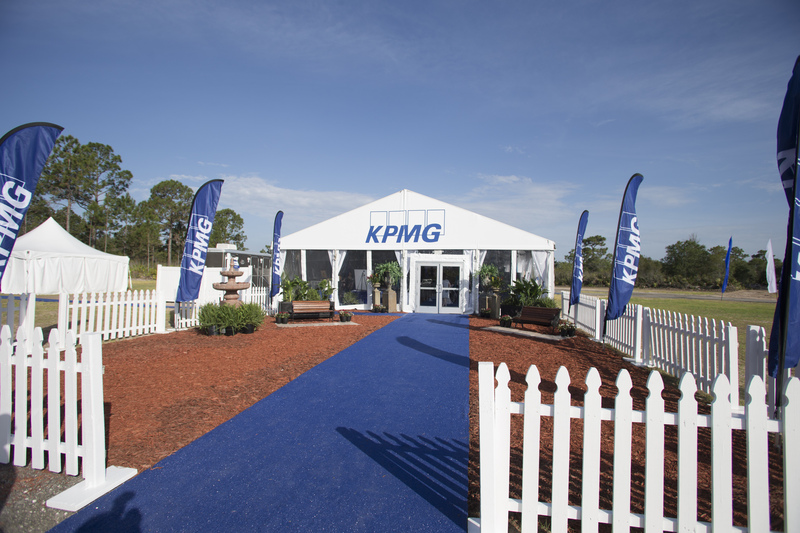 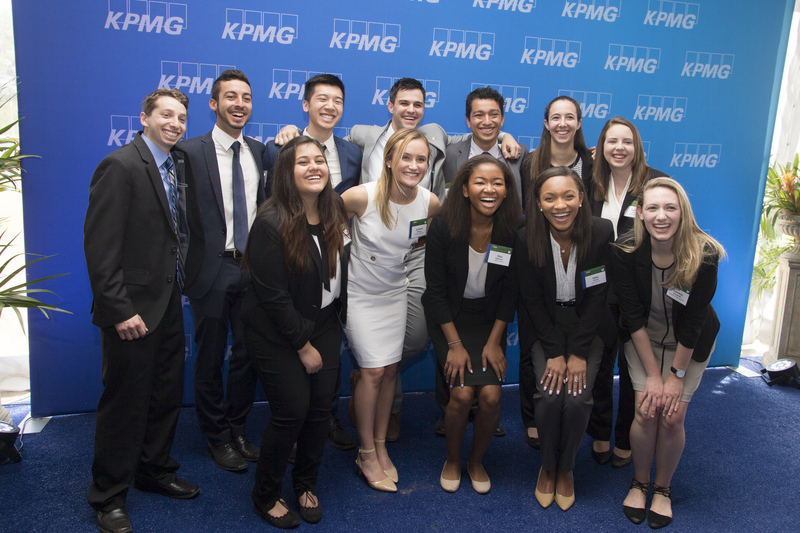 The facility’s Innovation Center will provide an “immersive learning experience” designed to enhance the skills that KPMG professionals will use with their clients. 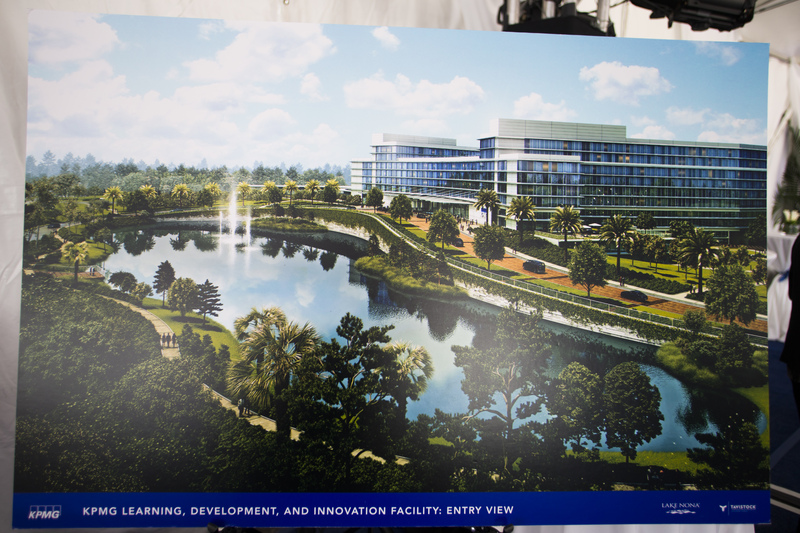 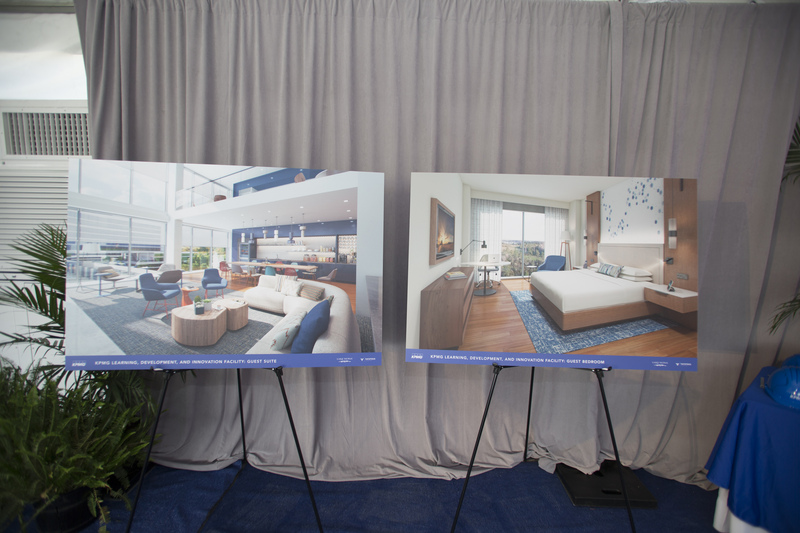 The training facility will feature 800 guest rooms, fitness and outdoor recreational facilities and multiple food and beverage venues. 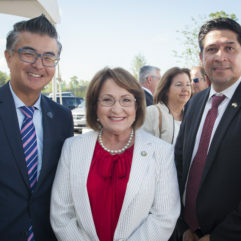 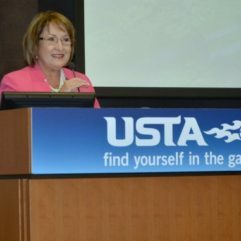 During her remarks, Mayor Jacobs noted that the community’s culture of collaboration has led to “incredible economic development opportunities,” and the creation of high-value jobs and large capital investments in Orange County. 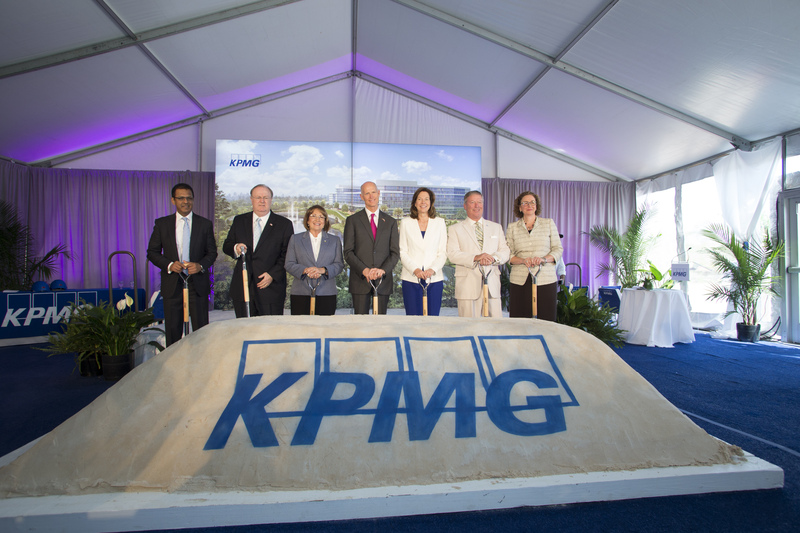 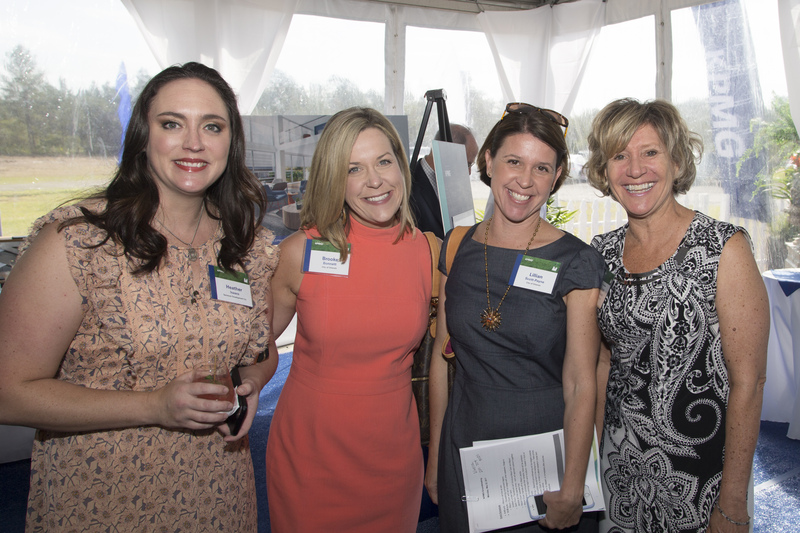 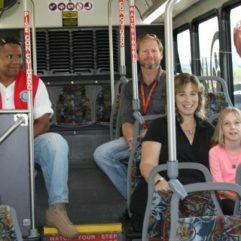 Groundbreaking participants included Gov. 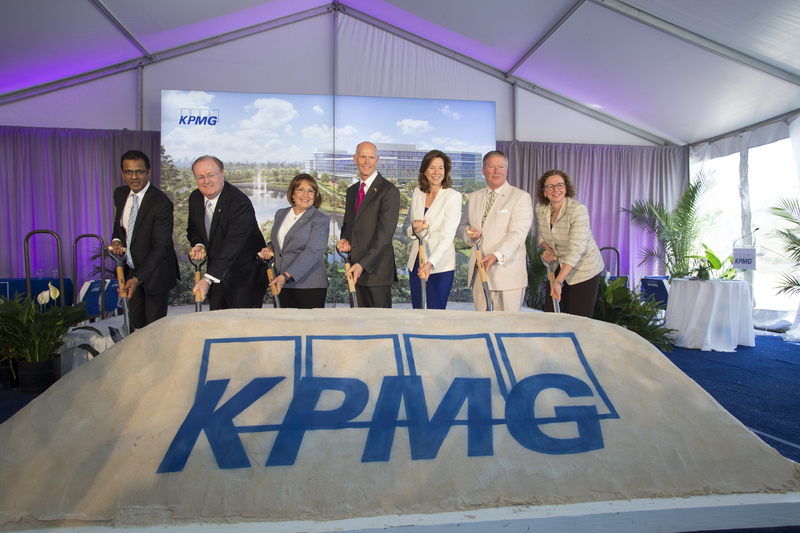 Scott, Mayor Jacobs, City of Orlando Mayor Buddy Dyer, Greater Orlando Aviation Authority Chairman Frank Kruppenbacher, KPMG Chairman and CEO Lynne Doughtie, KPMG Vice Chair of Operations Laura Newinski and Tavistock Group Senior Managing Director Rasesh Thakkar. 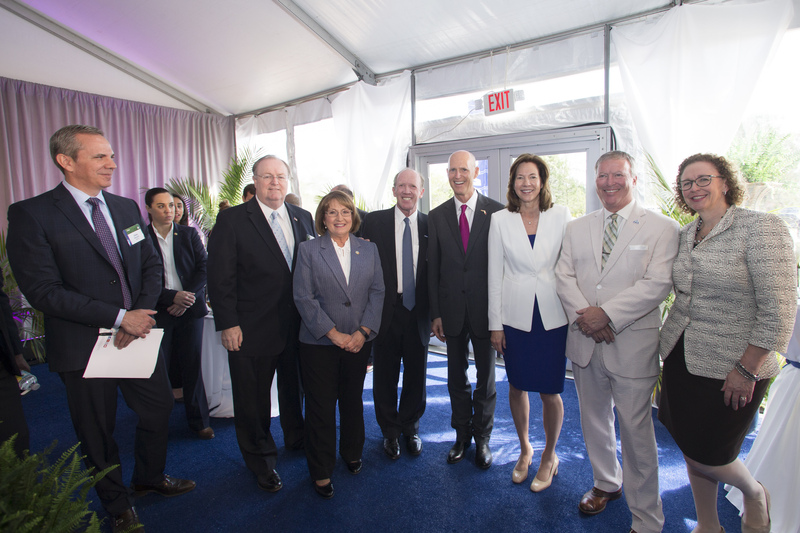 The State of Florida, Enterprise Florida, City of Orlando, Orlando Economic Partnership, Orlando Utilities Commission, CareerSource Florida, CareerSource Central Florida, Visit Orlando, the Greater Orlando Aviation Authority and the Tavistock Group have all been important partners on this project. 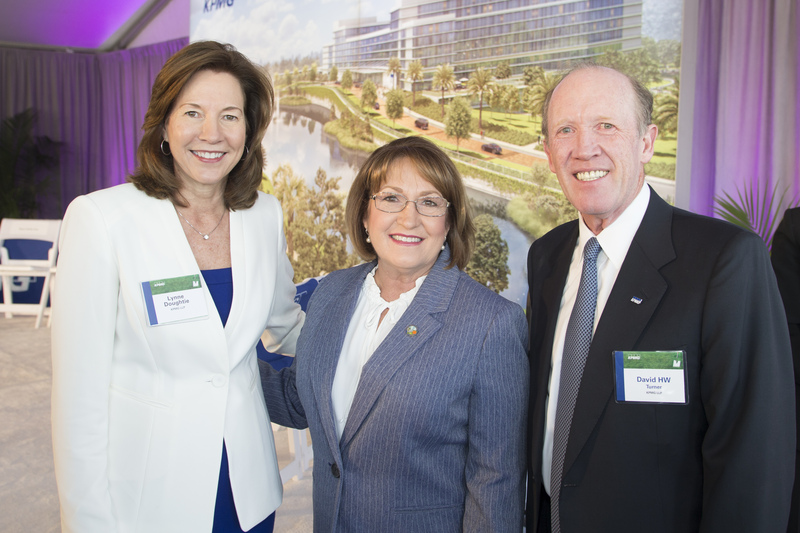 Gensler, a New York-based design and architecture firm, will design the facility according to Leadership in Energy and Environmental Designed standards established by the U.S. Green Building Council. 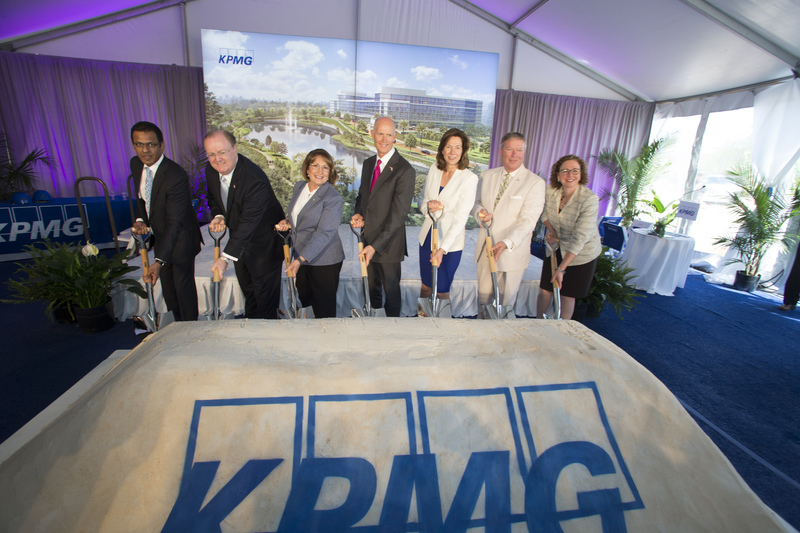 Featured Photo Caption: [L-R] Tavistock Group Senior Managing Director Rasesh Thakkar, Greater Orlando Aviation Authority Chairman Frank Kruppenbacher, Orange County Mayor Teresa Jacobs, Florida Governor Rick Scott, KPMG Chairman and CEO Lynne Doughtie, City of Orlando Mayor Buddy Dyer and KPMG Vice Chair of Operations Laura Newinski gathered for the groundbreaking of KPMG’s Learning, Development and Innovation Facility in Lake Nona.